Dr. Paul Kitney holds a PhD in Economics, specializing in macroeconomics, monetary policy, and financial linkages. His recent academic research has explored the role of financial factors in monetary policy and is presently a research associate at the Centre for Applied Macroeconomics (CAMA) at the Australian National University. Dr. Kitney has over 25 years experience in Asia Pacific investment management and investment banking. He has worked as a hedge fund portfolio manager at Morgan Stanley, Whitney and his own “startup”, Bronte investment Management. 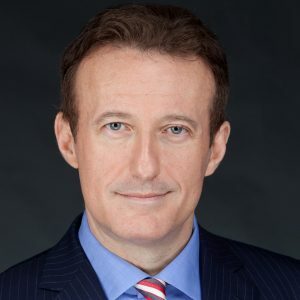 Dr. Kitney is currently the Chief Equity Strategist (Asia-Pacific) for Daiwa Capital Markets (Hong Kong) Ltd, having previously worked as an investment strategist at Morgan Stanley and Blackrock. Dr. Kitney has lived in Hong Kong for 10 years and in Asia for over 20 years, bringing together both an academic and commercial perspective to the classroom at CUHK Business School. Paul Kitney (2018), “Financial factors and monetary policy: Determinacy and learnability of equilibrium“, Journal of Economic Dynamics and Control. Paul Kitney (2015), “Does the central bank respond to credit market factors? A Bayesian DSGE approach,” CAMA Working Paper. Paul Kitney (2016), “Financial Factors and Monetary Policy: Determinacy and Learnability of Equilibrium,” CAMA Working Paper.